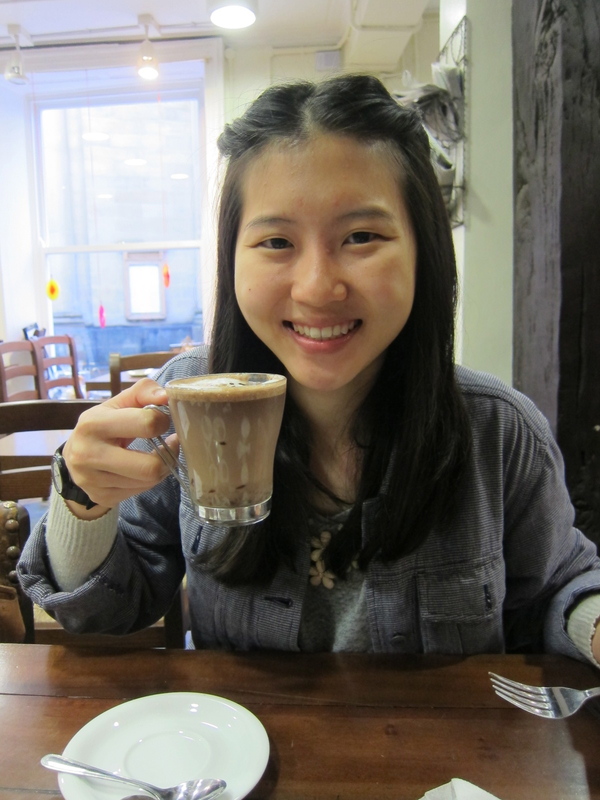 Meryl proffers her toasty cup of hot chocolate! We both agreed that this cup of hot chocolate couldn’t possibly compare to the goodness that was Nowa Prowincja’s hot chocolate , but it was appealing enough to make the mark! In terms of texture it was milkier and not so gooey as the Polish version, light, frothy and not overwhelmingly sweet. 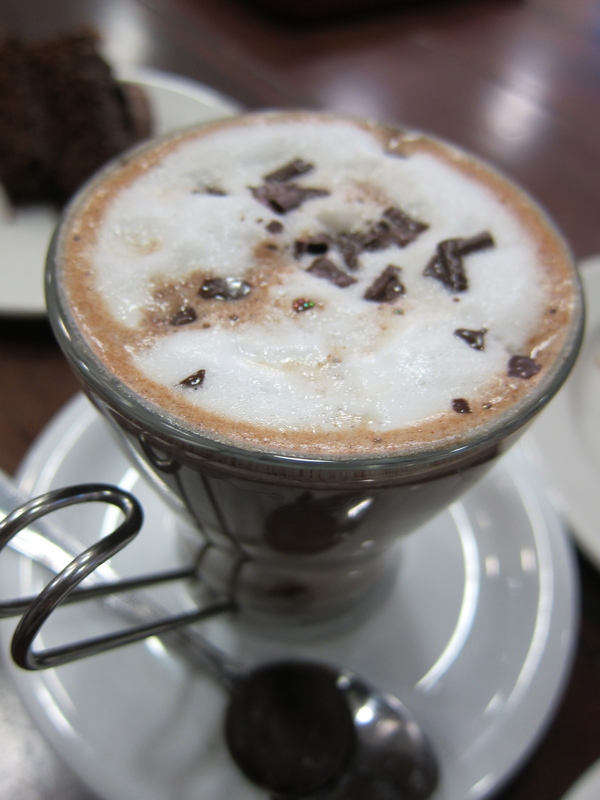 There are also other types of hot chocolate available at the store, and you can opt for hot chocolate that’s darker or lighter – the percentage levels can be adjusted! One thing about York Cocoa House that I appreciate is that they don’t just stuff their chocolate cakes with overwhelming amounts of sugar and leave it as that. 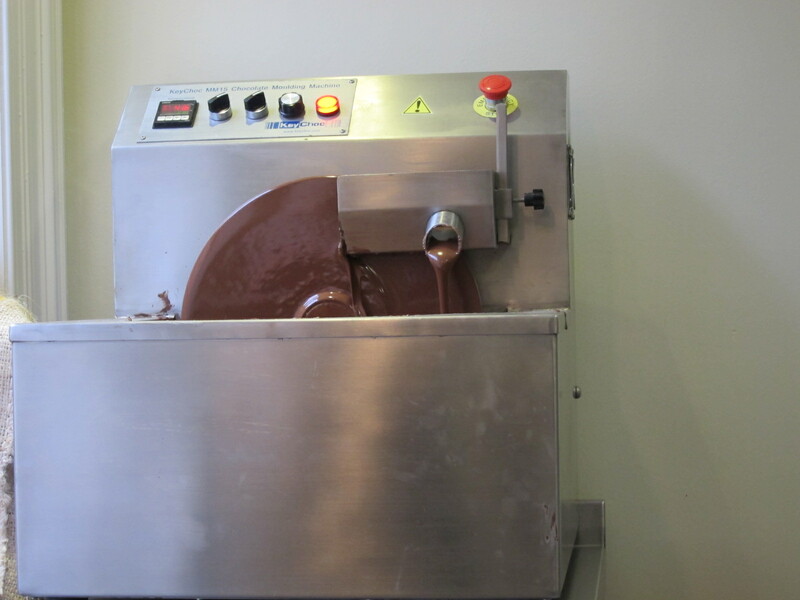 As every chocolate lover knows, there are a lot of nuances (for want of a better word) to chocolate itself; unlike white chocolate, which is mainly just sweet, the taste of chocolate and its aftertaste have such an interesting variety of flavours. 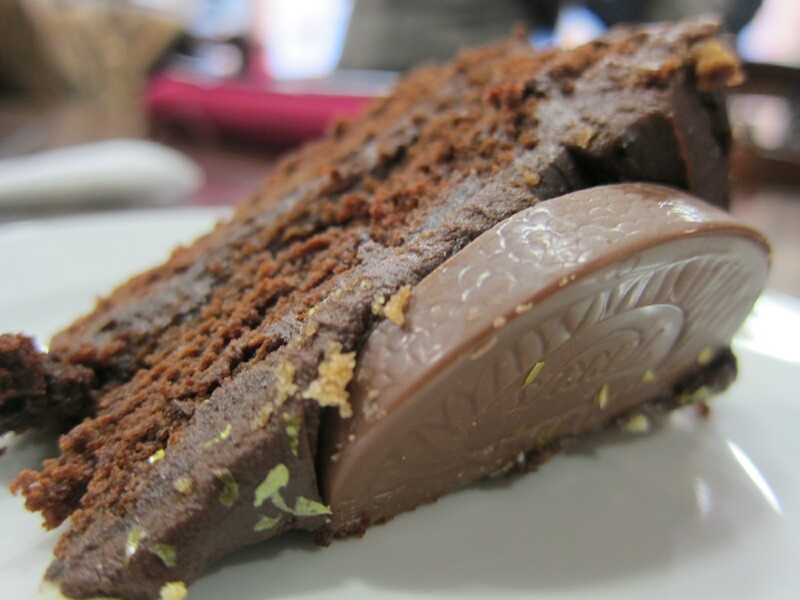 The slice of cake that we got for about 5-6 pounds was slightly meagre, but flavour-wise, this is probably my favourite – it’s got a nice, moist layer of cream and the cake is light and crumbly. I’m not the biggest fan of orange chocolate, and this felt slightly lumpier, but the flavours were an intriguing mix. 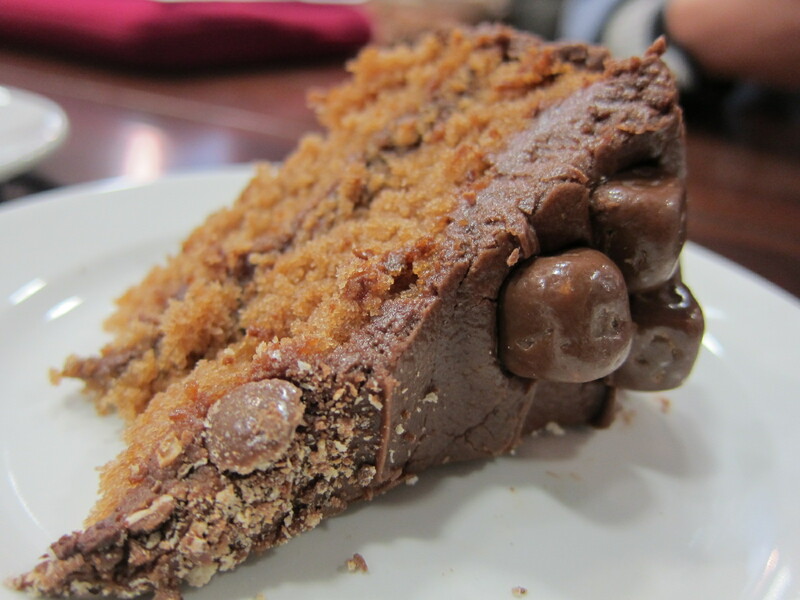 Even though we ordered three types of chocolate cakes, we didn’t really feel overwhelmed by it because York Cocoa House offered a good enough variety. The ‘orange slice’ didn’t really leave much to the imagination, though – it would have been great if it were milkier, and richer. 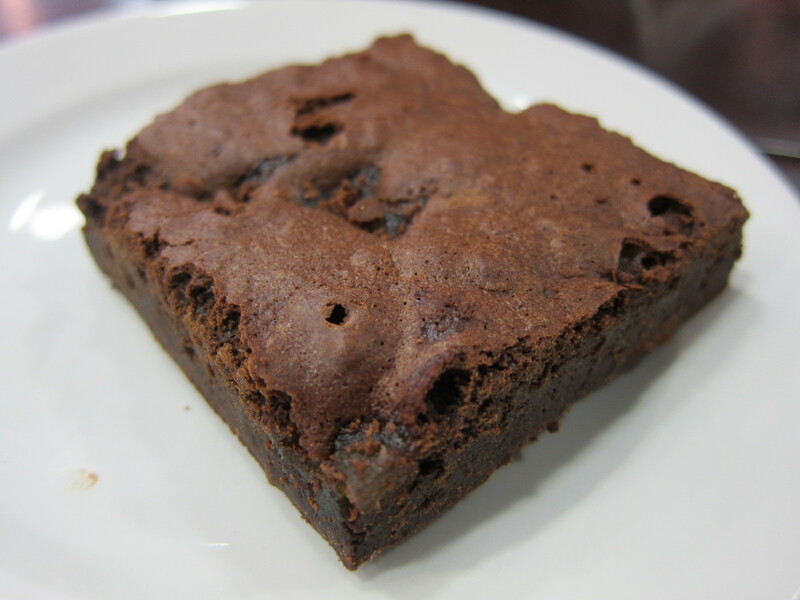 And a small brownie to finish things off (: It was slightly dry but surprisingly chewy enough ; not the best that I’ve tried but pretty decent fare for the price that you pay. 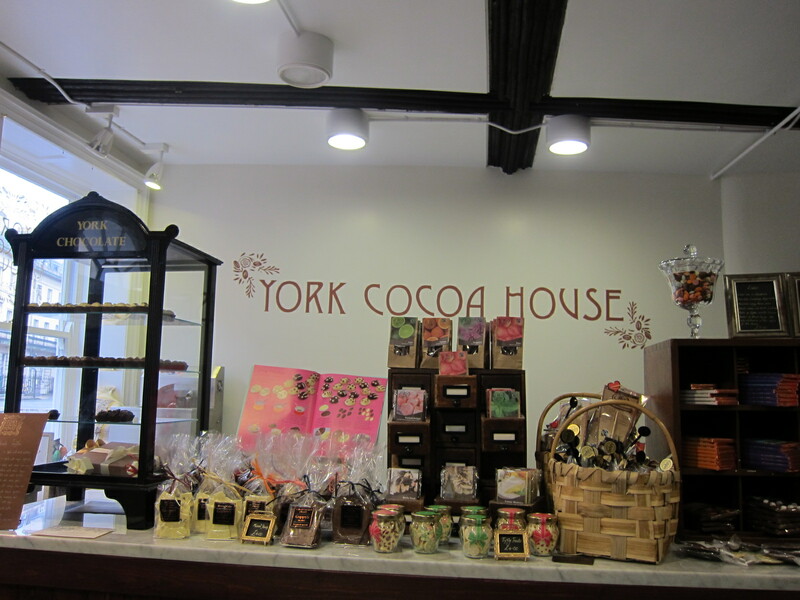 On the whole, I suppose the name York Cocoa House itself – which kind of sounds like a flagship for the entire city – makes an average patron’s expectations go higher than average, which might lead to a minor sense of disappointment eventually! I’m big on atmospheres and vibes, and I didn’t really think this would be an ideal place to just sit and contemplate because it feels kind of industrial, but it is worth having a look if you are curious.